Some Cocktails have an arm and a leg worth of ingredients. This is one of them. Each ingredient is worth its salt - so don't miss any out. This is a Cocktail that is a sum of its parts. With two top quality London Dry Gins (Hendricks and Bulldog) you know it is going to be something rather special. Cucumber always brings out the best in Hendricks Gin coupled with Bulldog Gin that imparts quite a crisp citrus note - simply beautiful. 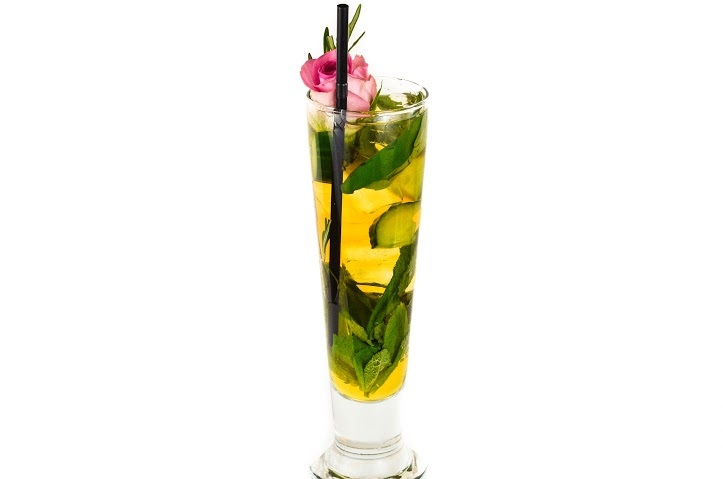 The various botanicals add an enormous amount to the overall flavour and nuances of this Cocktail. Add one by one the ingedients into a Cocktail Shaker or Boston Can over ice. Shake. Stain into a Sling Cocktail Glass.